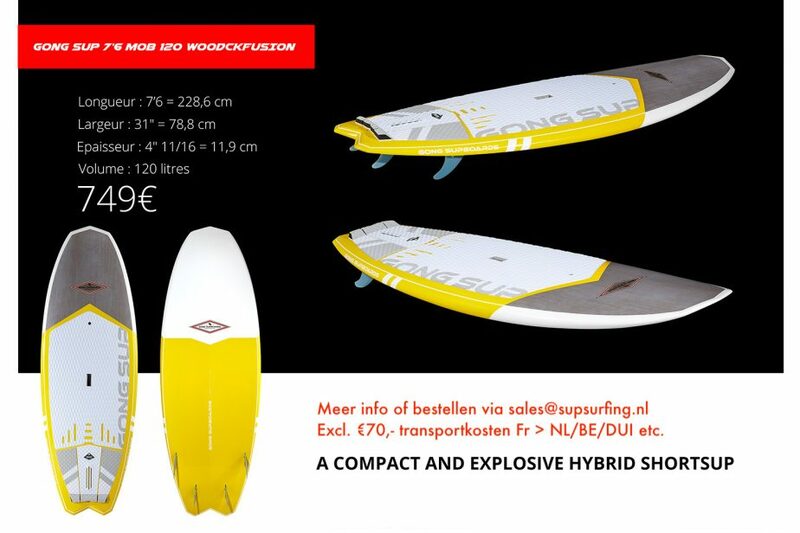 €749,- Excl. €70,- verzendkosten Fr>Nl/Be/Dui/Etc. 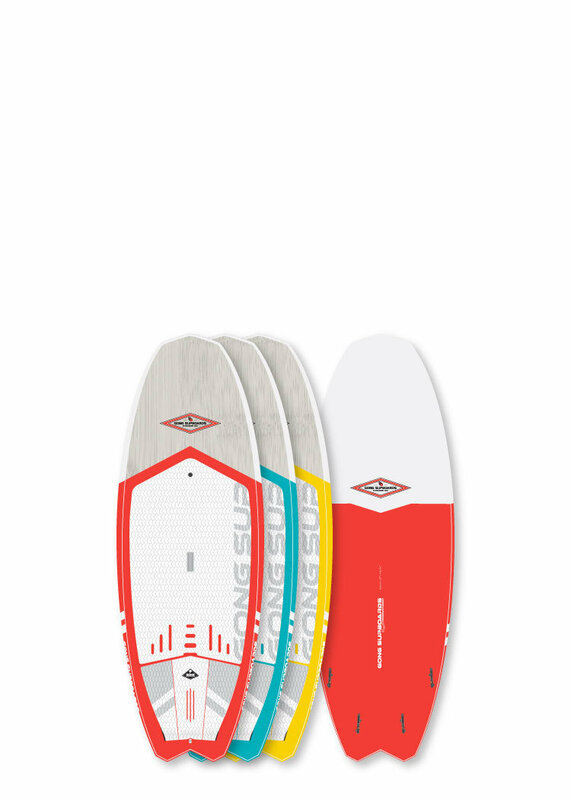 The MOB Pro 7’2, 7’6 et 8’3 are a variation of the same shape with different volumes, lengths, widths to adapt to the needs of all rider sizes and skill levels. 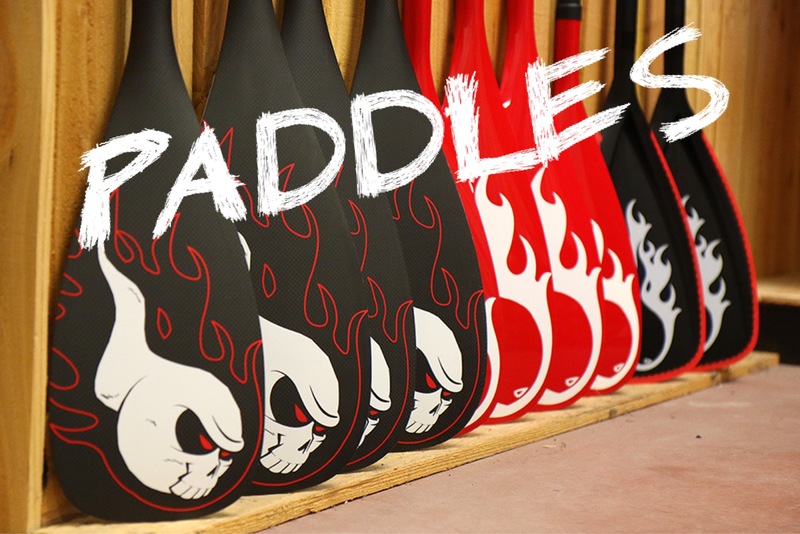 You can take a size that is made to suit your weight or go a little bigger to insure more riding comfort. 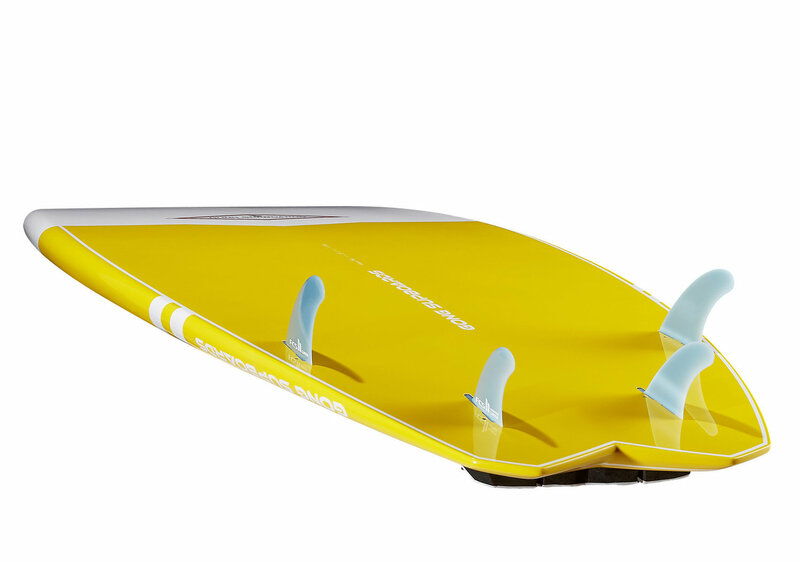 The MOB 7’6 is an easy board for her size. 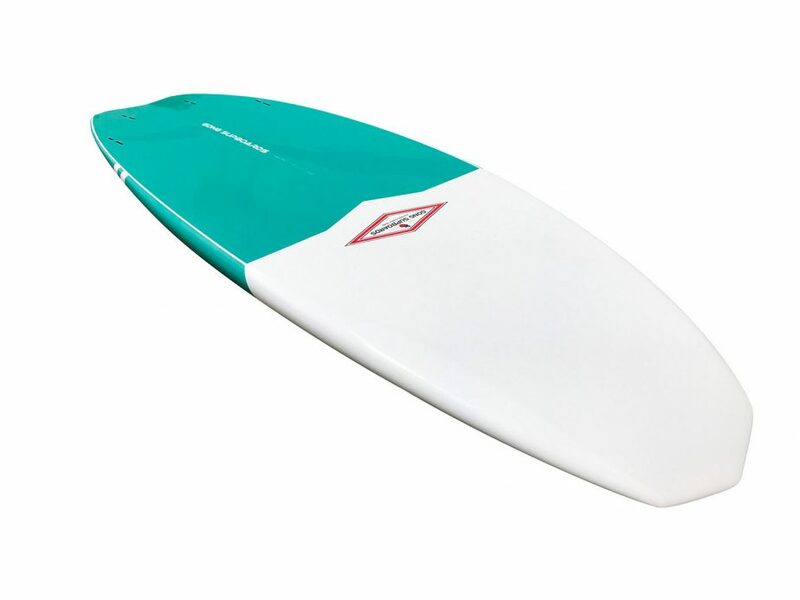 Ideal for a surfer between 70 kg and 90 kg, also conviniant up to 85 kg for a rider with experience, and she’s accessible to SUPers with a competant skill level under 70 kg. 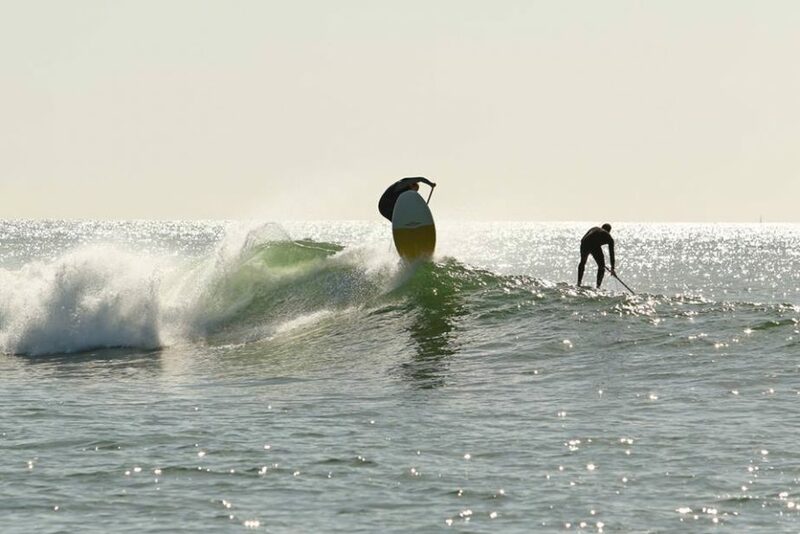 She’s a blast while paddling with her quick rocker, the lifted nose permits cutting through waves easily and she remains stable while waiting. 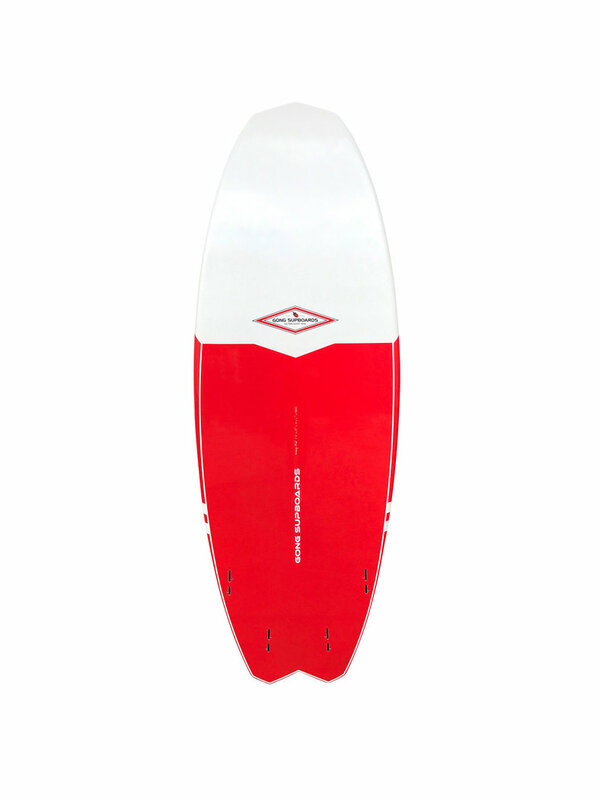 Most explosive on less powerful waves and that’s the finest quality of the MOB. • Size : knee high to overhead. • Strength : at her best in small to average waves. 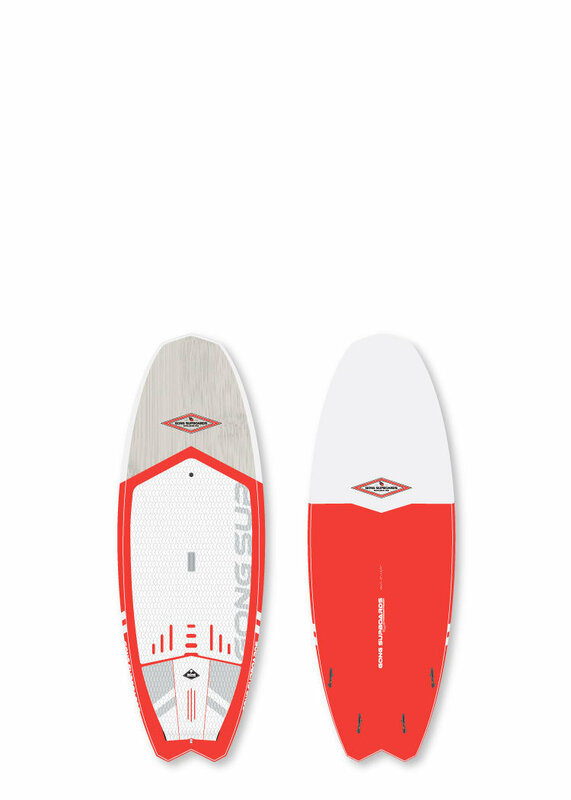 • Type : great all around board even in choppy and windy conditions. • Less than 75 kg : easy. • 75 kg to 95 kg : perfect. • More than 95 kg : no no no. • Weight maximum : 110 kg. • Skill minimum : proficient and/or light weight SUPer. 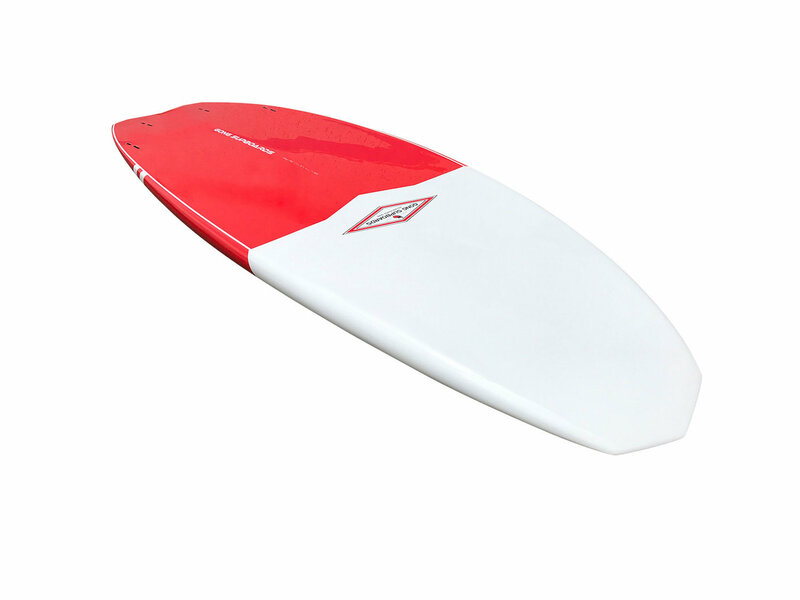 • Rocker : intermidiate between a short and longboard : exceptional maneuverability and speed in small waves. • Rails : Thin and soft for that real surf feeling. 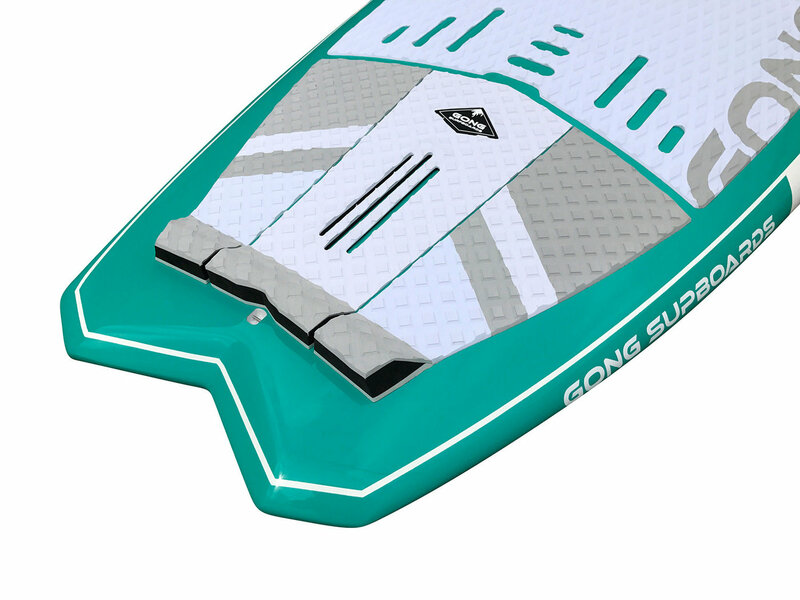 • Volume : generous without excess : early take offs and great performance in smaller/medium conditions. 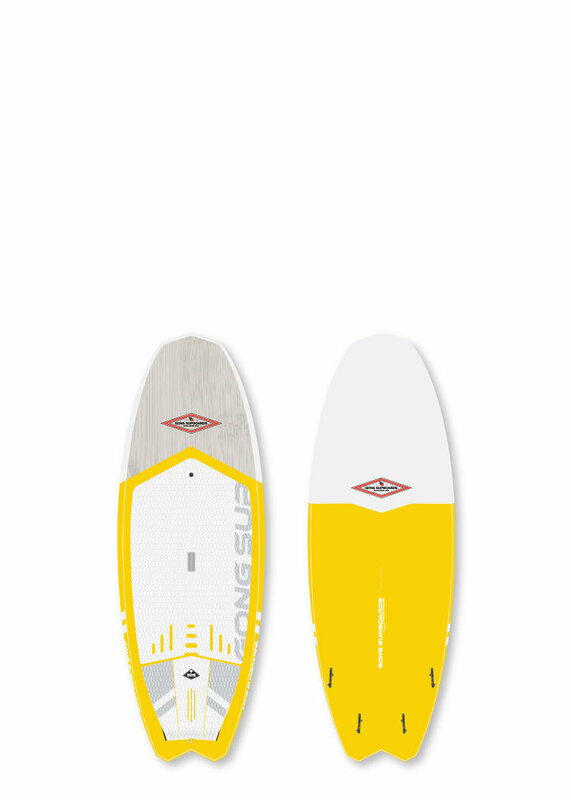 • Outline : wide at tail, stable center, a medium/high wide point and a nose close to that of a longboard. 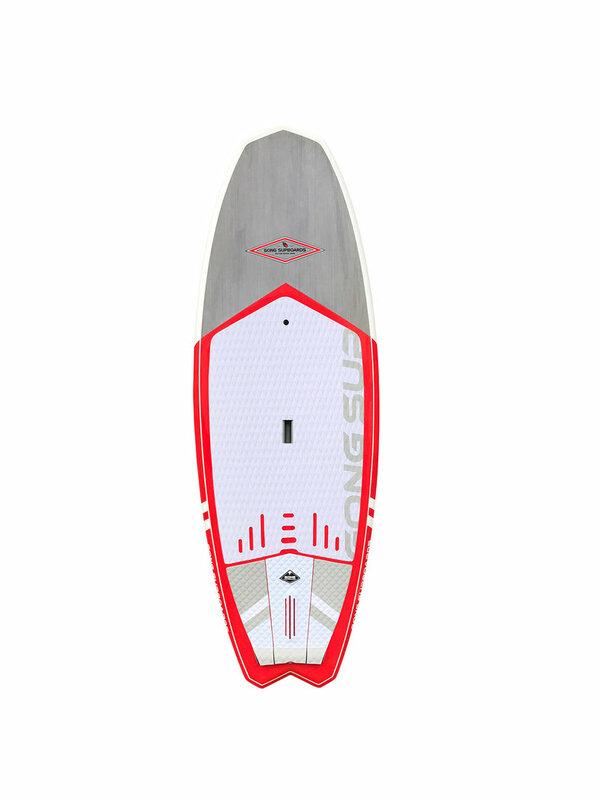 • Tail : fish diamond nose, wide : Stable, exceptionally fast edge to edge and plenty of rebound power. 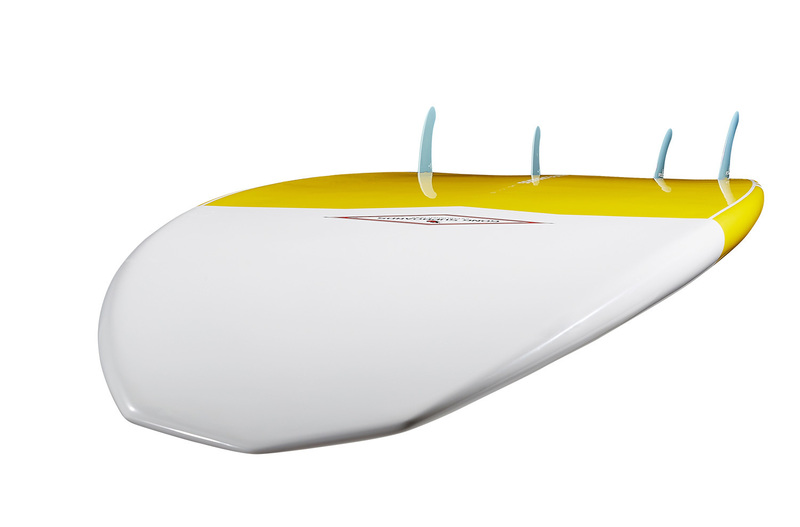 • Nose : diamond nose to augment weight bearing capacity and bouyancy on flat water. • Tail : diamond fish tail. • Nose : diamond nose. 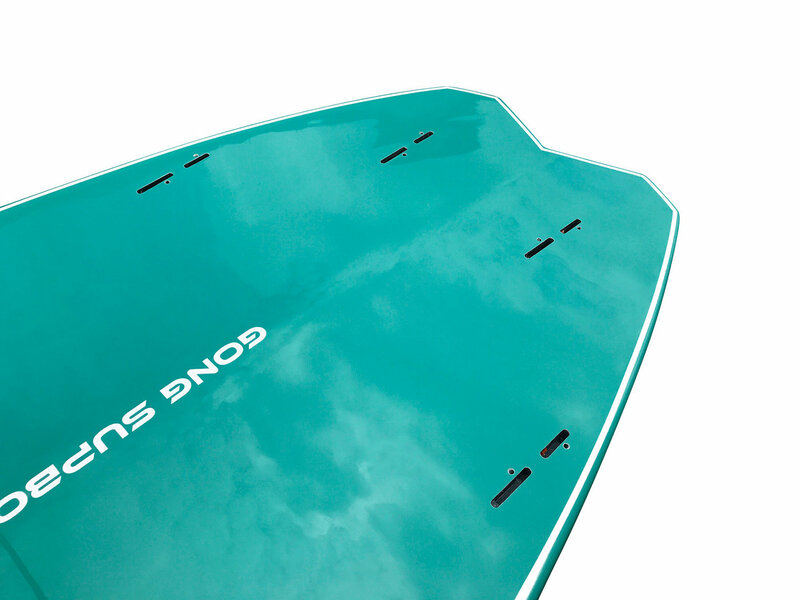 • Board 100% Epoxy over EPS foam : solid and light. 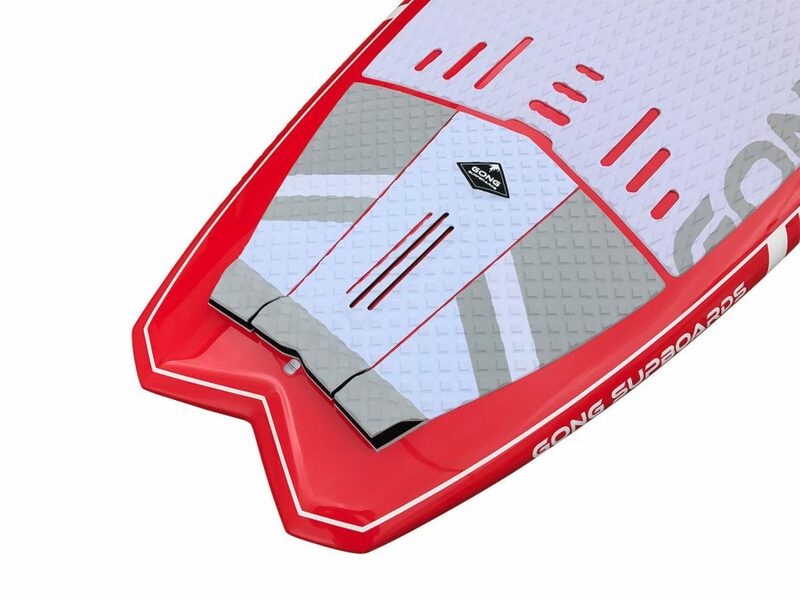 • Deck and Bottom in vaccum sandwiched wood : solid and shock absorbing. 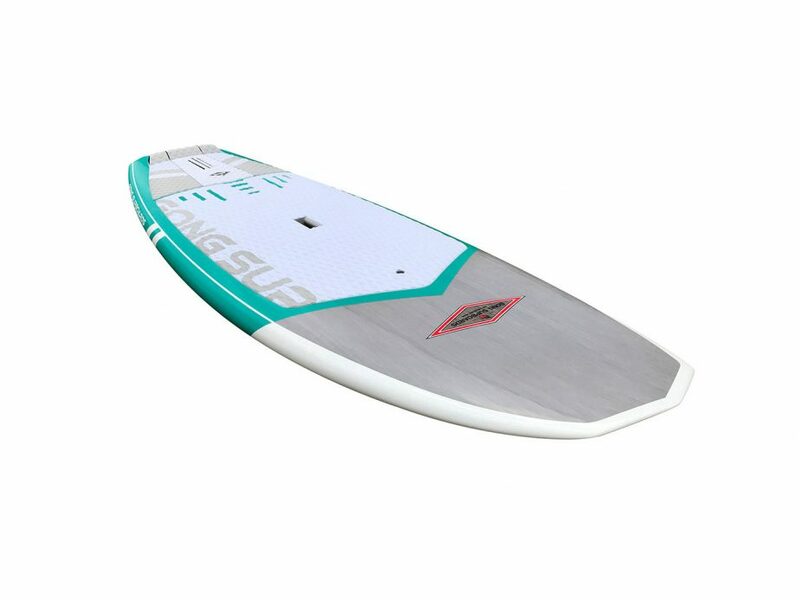 • Deck: 3 layers of Fiber Glass, sandwiched wood, carbon fiber reinforced foot and stress zones. • Bottom : 2 layers of Fiber Glass, sandwiched wood, reinforced stress zones notably around Fin boxes. • Rails : Kevlar Belt and a total of 5 layers of xtra wide Fiber Glass the full length of rails. • Reinforced Boxes : are pre-glued into the high density PVC foam and re-reinforced with Fiber Glass layering. • Integrated PVC reinforced carry handle: limits and avoids interior damage due to use. 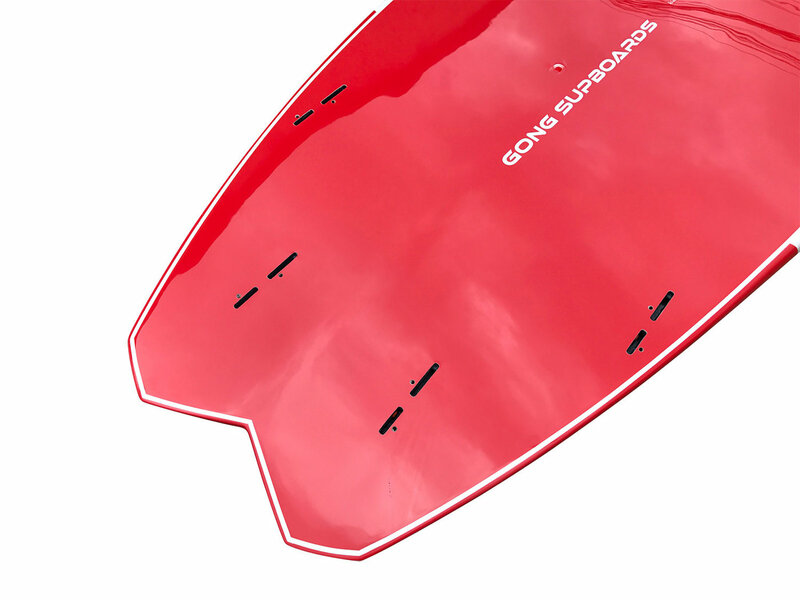 • Preshaped with CNC(computer-numerical-controlled), shape rigorously controlled from traditional templates, 100% hand finished. 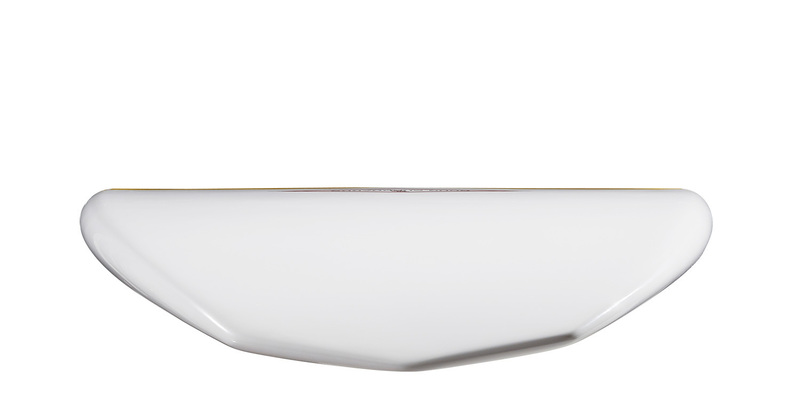 • Hand glossy finish for precise and professional aspect. • The WoodCKFusion is easily repairable in case of ding damage. It’s light and dynamic with minimal reverberation in the waves. • It is THE luxury technology at a great price. 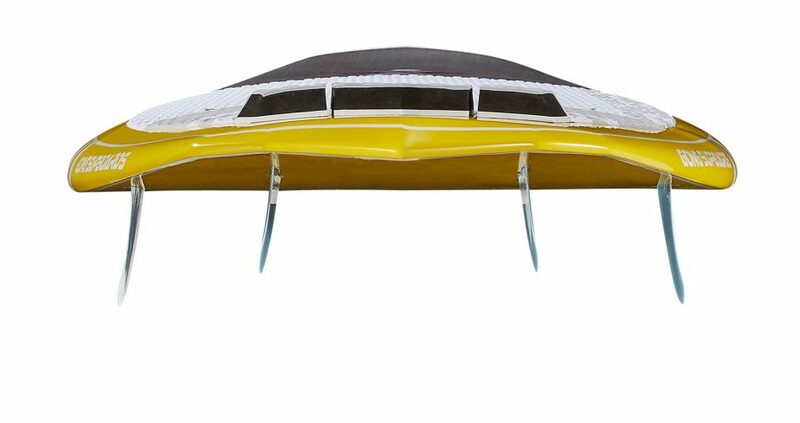 A superb construction with modern composites. • 4 FCS II Glass Flex Fins for Quad mounting. 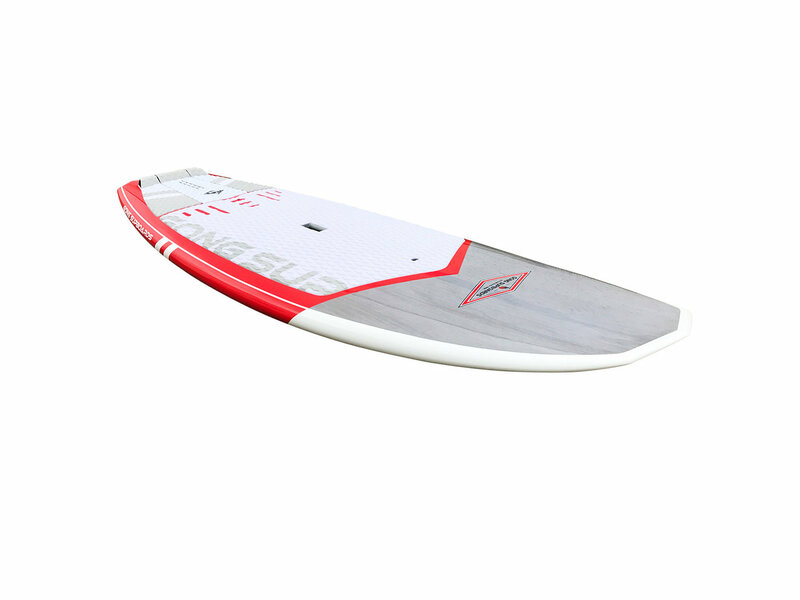 • 1 central FCS II box, glued into high resistance reinforced HD PVC on the boards longitudinal axis for tri-fin mounting. • 4 lateral, forward and back, high resistance FCS II boxes, placed into PVC HD for Quad mounting. 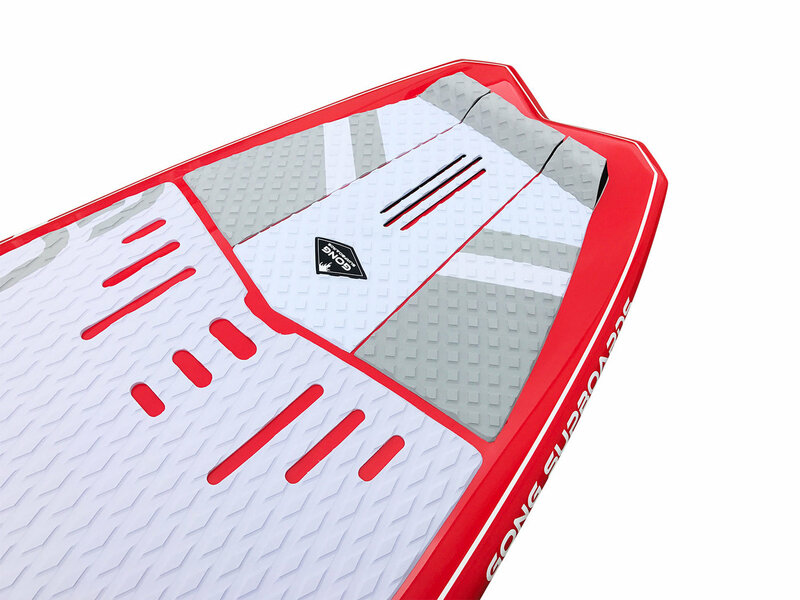 • 3D Function Pad 5 mm : “Inteligent” deck coating concieved to deliver a different feeling under foot to differentiate zones with comfort and total adherence. 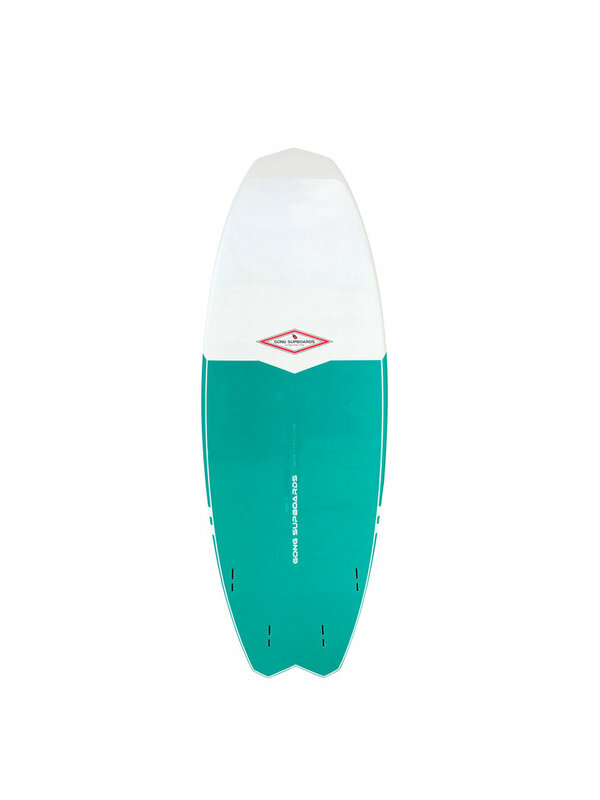 • Leash plug Concrete Fixed at tail to never lose your board. 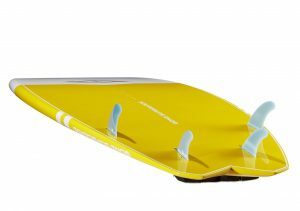 • Integrated central Carry Handle on the board deck.